This small city in the state of Rio de Janeiro is by far the most beautiful city I’ve visited in the world. You can pick up starfish from the beaches in the crystal clear ocean water. It’s also one of the best scuba diving spots in Brazil. 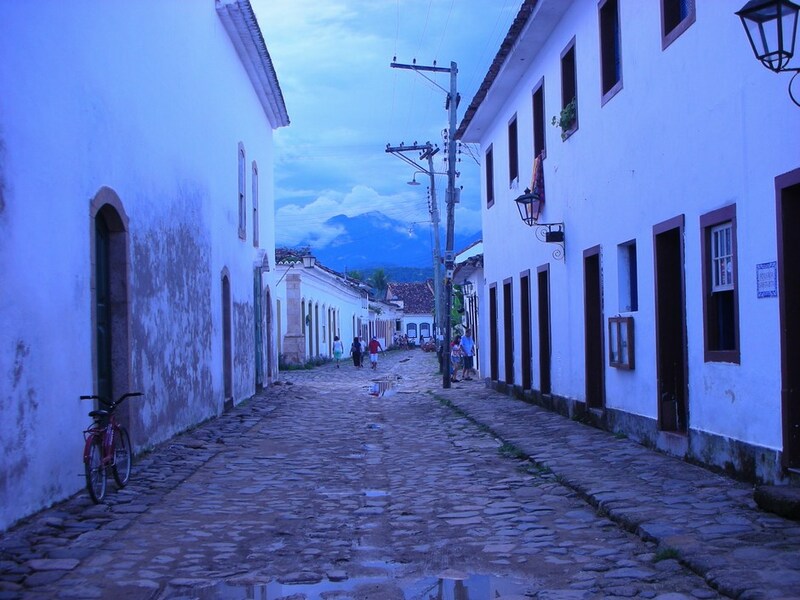 Good old Paraty! Bled for its beauty enslaved to culture, commerce and tourism. An inevitable hybrid between the beauty of a crueler era and pressing contemporary gain. A waiter with deft footwork marks out a Samba with a tray pirouetting on a forefinger, while samba infuses the atmosphere. Caipiras strum and sing in baleful harmony, while ethnic people sell ethnic things.